You'll be £20.00 closer to your next £10.00 credit when you purchase A Military History of China. What's this? The twenty-first century has been labeled the “Pacific Century,” both in terms of economics as well as military affairs. While South Korea and Japan have stagnated in these aspects, the growth of China since 1980 is unprecedented in modern history. While its economic achievements are both well known and studied, the rapid development of its military is not. In A Military History of China: From the First Recorded Battle to the Twenty-First Century, historian David Richard Petriello provides the first English language account of China’s martial history. 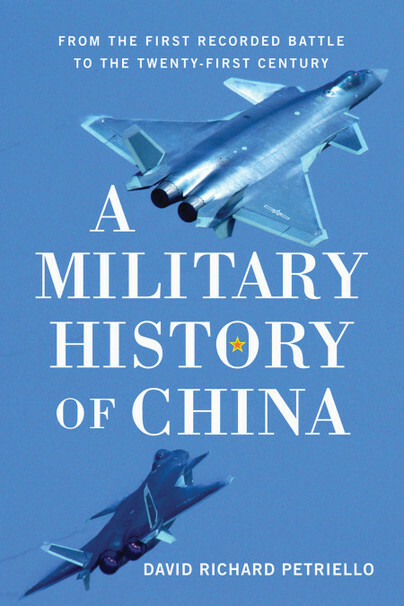 China’s military prowess extends across the centuries, and includes the invention or first use of gunpowder, landmines, rocket launchers, armored cavalry, repeating crossbows, multi-stage rockets, and chemical weapons – in many cases, long before the West. Illustrated with more than one hundred maps and figures, the book traces the general military history of China from the Neolithic Age to the present day. Particular attention is paid to specific battles, military thinkers, the impact of geography on warfare in China, and the role played by technology. Likewise, the work examines the underlying philosophy of why China goes to war. Because China’s military weakness over the past two centuries compared to the West has given a false sense of China’s potential, a thorough knowledge of the men, battles, tactics, geography, strategies, philosophy, and experiences of war throughout Chinese history are vital to prepare students, scholars, soldiers, and politicians for the return of China as a major innovative and global military power. DAVID RICHARD PETRIELLO earned degrees from Seton Hall University, Montclair State University, and St. John’s University in American and Asian history, and currently teaches history at Caldwell University, New Jersey. The son of a biologist and a nurse, he incorporates science into his historical studies. His publications include Bacteria and Bayonets: The Impact of Disease in American Military History, and Tide of War: The Impact of Weather on Warfare. He and his family live in New Jersey.